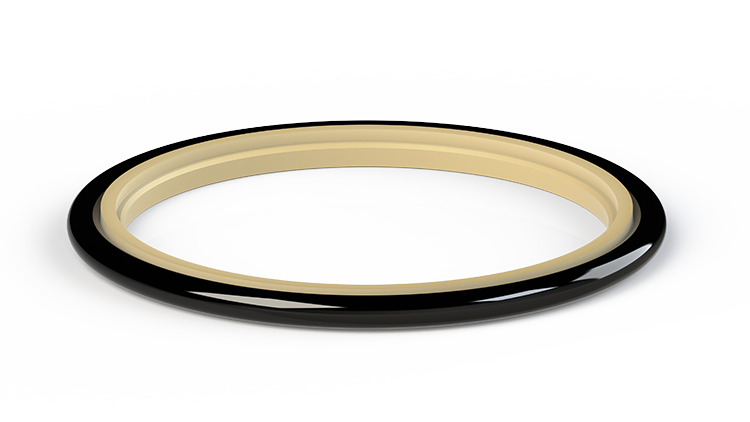 Buffer Ring - Eclipse Engineering, Inc. Buffer rings are a support product most often used in conjunction with other seal elements to extend total system life. As the name implies, Buffer Rings are unidirectional seals most often employed at the upstream pressure side of a system and buffer other components from pressure overloads. In service, cylinders can experience external shock loads that cause pressure spikes in excess of system pressure. Due to the asymmetrical design, Eclipse Buffer rings will knock down momentary spikes allowing a small amount of fluid by, which then gets dragged back into the system during the return stroke. Because of this back flow phenomenon, Eclipse buffer rings can also be used in tandem without concern of pressure trapping effects. Available in rod and piston configurations.